Is copyright duration in the U.S. due to Mickey Mouse Copyright? The United States has been waging a battle against several other countries over how long a copyrighted work should be protected. Copyright duration has been one of the major sticking points in the massive free trade agreement, the Trans Pacific Partnership (TPP) being negotiated in secret between the U.S and eleven other countries: Australia, Brunei, Canada, Chile, Japan, Malaysia, Mexico, New Zealand, Peru, Singapore and Vietnam. On July 29th, 2015, WikiLeaks released a secret letter from the TPP Ministerial Meeting held in December 2013, along with a comprehensive expert analysis of the document. According to the letter, negotiators are considering requiring all TPP member countries to a copyright term that matches that if the United States, a significant increase from those countries previous copyright duration requirements: if the copyright holder is an individual, the minimum copyright term would extend to the lifetime of the creator plus 70 years. In the case of works with corporate authors, the term extends to 95 years from the first publication, or if not published within 25 years of its creation, 120 years from then. As a result, most TPP nations will be required to increase the duration of copyright by at least 20 years. Since the U.S. Copyright Act became law in 1790, the copyright term has been slowly increasing. In 1790, copyright duration was a mere 14 years, with a right to renew for one additional 14-year term should the copyright holder still be alive. At that time, only maps, charts and books were eligible for copyright protection. It wasn’t until the revised Copyright Act of 1870 that painting drawings and other images could be copyrighted. The 1870 Copyright also required a copyright notice, “©, [DATE], by [Author]” as well as registration with the U.S Copyright Office. The most dramatic changes, however, are due primarily to companies like Walt Disney Co. and Gershwin Music wanting extra protection for their intellectual property. The most recent major overhaul was the Copyright Act of 1976. It increased the copyright duration to life if the author plus 50 years, as well as eliminating the need for a copyright notice and registration with the Copyright Office. Copyright became automatic at the time of creation, but also became retroactive for older works. The result was that many works that did not have copyright protection due to their lack of copyright notice and / or registration were now protected. Then in 1998, Congress passed the Sonny Bono Copyright Extension Act also known disparagingly as the Mickey Mouse Copyright Act. With only 5 years left on Disney’s ability to protect Mickey Mouse, Disney successfully lobbied Congress to once again change copyright duration, lengthening copyright for works created on or after January 1, 1978 to “life of the author plus 70 years,” and extends copyrights for corporate works to 95 years from the year of first publication, or 120 years from the year of creation, whichever expires first. That pushed Mickey’s copyright protection out to 2023. Proponents say that because the copyright term extends a copyright holders exclusive rights to decide how, when and where their creative works are used, creators can secure the economic benefit they deserve in return for the efforts they put into the creations. In particular, the film, music and publishing industry leaders claim that longer terms of restriction are necessary to incentivize creativity and innovation. However, these companies also generate significant income through their monopolies over characters, such as Mickey Mouse. On the other side are those against term extensions, primarily individual artists, who believe that copyright duration is nothing more than a corporate money grab; one that is detrimental to artists and other creators. In particular, long copyright duration doesn’t compensate creators as very little of the revenue generated from the extended period of protection ever makes it into the hands of the creators. Instead, long copyright terms deprive the public of artistic resources that can be used to create new works. Many authors and artists see creative thought as developing incrementally, not in a vacuum. Creativity, ingenuity, and inventiveness are built upon the work of others, but such long copyright terms make those works unavailable. Copyright law is a carefully crafted balance of public vs. private rights, providing incentives for innovation and access while at the same time, ensuring that creative works aren’t exploited by others before their creators can receive a benefit. Limiting copyright duration allows creative works to enter the public domain more quickly. Proponents of shorter copyright terms view the the public domain is a necessary source from which authors can learn and create. Between the longer copyright duration and, in the United States, the retroactive copyright for works under the 1976 copyright Act, a tremendous amount of material that should have been part of the public domain was lost. For example, the Estate of Arthur Conan Doyle recently lost a court battle over keeping Sherlock Holmes character out of the public domain. Sherlock Holmes was first put to paper in 1887 although because the last story was published in the 1930’s, the Conan Doyle estate managed to maintain copyright protection. So a character created 128 years ago, until the recent court ruling, still required permission and hefty licensing fees. While some would say that Holmes remains a property with value that should be protected, those same protections hold true for the thousands of characters and stories that are no longer part of our Lexicon. Yet, we must still wait 100 years or more for some of them to be resurrected or used in some way to create a new work. No published works in the U.S. have been added to the public domain due to and expired copyright for quite a while. While works created before 1923 are generally in the public domain, a work published in the U.S. in 1923, which had its term extended to 95 years would enter the public domain on Jan. 1, 2019, (1923 + 95 = 2018). For administrate simplicity, works become public domain on the first day of the year after their term expires. And, unless we know the data of a work, we cannot be sure it has entered the public domain. With regard to the TPP, the extension in the term of copyright for a country such as Canada, would mean no new works would enter the public domain until at least 2035 (assuming an agreement takes effect in 2015). Authors that would enter the public domain s=during that period, which would be reprieved include Marshall McLuhan, Gabrielle Roy, Donald Creighton, and Glenn Gould as well as non-Canadians such as TS Eliot, John Steinbeck, JRR Tolkien, and Ayn Rand. Copyright Duration leads to another problem that has been a thorn in the side of creators; orphan works, which are works in which copyright exists, but the copyright owner is either unknown or cannot be located. Recall that before 1976, a work required a copyright notice © and registration with the U.S. Copyright Office. If the work did not have a copyright notice, then it did not receive copyright protection. Even if the notice was somehow inadvertently removed, the work would still have a registration at the Copyright Office. However, any work without the notice and registration were part of the public domain and could be used freely. With the retroactive copyright and extended duration, many of those works were given copyright protection, which they still have today, almost 40 years later. Yet, there is nobody to claim them, nor do we even know the author, photographer, artist or designer that created them. They are in limbo. So the massive amount of creative works where authors are unknown or nowhere to be found are, for all intents and purposes, locked up instead of available for creators to use. Unlocking the potential of these orphan works has been a key issue for the Copyright Office, which may be introducing legislation to deal with the issue. An Impact Assessment Report on Orphan Works in June 2012 stated that ‘up to 2,500 museums, 3,393 public libraries, 3,000 community archives, 979 academic libraries and approximately 3,500 trust archives’ which hold orphan works would benefit. However, how it will take years to resolve, and as far as the TPP, it is not being addressed despite the potential impact on member countries. Although proponents of lengthy copyright terms recognize these problems, they claim them to be minor given the benefit to the creators. According to proponents, there are several exceptions to copyright protection that allow creators to use the works of others. First, there is no copyright protection for ideas, only the execution of this ideas. Let’s take the case of Sherlock Holmes mentioned earlier. While an author or filmmaker could not, until recently, use the Doyle’s character names, plot lines, or visual appearance, or personality of any main characters, they could craft a detective story in Holmes’ style. There have been countless novels and movies based on a main character with a savant-like ability to analyze clues from a crime with deductive reasoning. The same is true for Harry Potter. Lev Grossman’s “Magicians” is a tale about a student who discovers his magical powers and is sent off to wizarding school. (The book is being turned into a TV series for SyFy). Let’s not forget the thousands of fantasy novels that include Elves, Orcs, Goblins, Dragons, and other magical beast influenced by J.R.R. Tolkien. Yet, the Hobbit and Lord of the Rings are still under copyright protection. Creators can also use other artists works under fair use, which is a defense against copyright infringement. Courts use a four-factor test to determine fair use, which is a bit complex to write about here. For a more detailed analysis, download my free eBook, the Law of Creativity. However, in short, if a work is transformative such that the new version find a new audience the original does not appeal to, then it may be a fair use. Appropriating other artists creative work is nothing new. The process even fostered an art movement known as . . . wait for it . . . “Appropriation Art.” Artists such as Marcel Duchamp and Andy Warhol thrived on appropriation. Andy Warhol’s Campbell’s Soup Can series (1961) uses appropriated copies of the original labels exactly as they are seen on the cans in any store. He took the traditional still-life and instead used them as portraiture. Warhol thought using Campbell’s Soup would stimulate product recognition (just like in advertising) and be equated with the company’s marketing campaign at the time; “Campbell’s soup . . that Mmm Mmm good feeling.” His underlying message exposed consumerism, commercialism and big business’ effect on society. Recently, it has become even easier to claim fair use due to a series of court cases. The most important involved Richard Prince, who you may know as the artist who, without permission, stole Instagram photos from other people and sold large prints for $100,000 each. 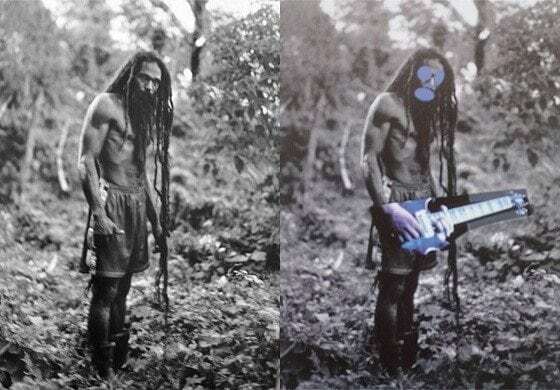 Prince became well-versed in copyright infringement from a three-year battle over his appropriation of Patrick Cariou’s photos of Rastafarians. Prince made what many considered mere minor alterations to Cariou’s work but claimed fair use. Most scholars and attorneys assumed Prince would lose but he won. The Court said that Prince’s use of the photos was transformative and that the derivative works appealed to an entirely different sort of collector than Cariou’s, including well-known clients such as Beyonce and Jay-Z. So while copyright duration has kept works from entering the public domain, artist are still finding ways, through fair use, to appropriate. While there really is no answer to whether duration should be shorter or longer, at least for the TPP, it looks like extending copyright duration is the winner, but due more to politics and money than right or wrong. This isn’t the first time the United States has strong-armed countries into following its Intellectual Property rules as part of a bilateral trade agreement. Australia, for instance, changed from life-plus-fifty to life-plus-seventy, as part of the Australia-US Free Trade Agreement. Morocco, Bahrain, Chile, and Singapore also agreed to life-plus-seventy in their bilateral free trade agreements with the U.S. Last week, one of the last holdouts, Canada seems to have caved. Newly leaked documents suggest that TPP negotiators have agreed to language that would bind its 12 signatory nations to extend copyright terms to match the United States. Back in June, Congress renewed fast track authority for the President over trade agreements, which means that when Congress receives the TPP, it will not get to amend the provisions. For those against it, there is always fair use to fall back on. In my previous comment, 1961 should be 1959, of course. Part of the problem is the failure of the Supreme Court of the United States to uphold at least the spirit of the United States Constitution, which provides that Congress may enact copyright protection for a limited time. While it is true that Congress has never enacted a law providing for perpetual copyright, repeatedly extending the “limited” copyrights just before they expire is tantamount to the same thing. I believe that a copyright, once granted for a specific term, should not be subject to extension. I also think that the old 28 year rule, with one renewal, was sufficient. If it were still the law, everything created before 1961 would be in the public domain.